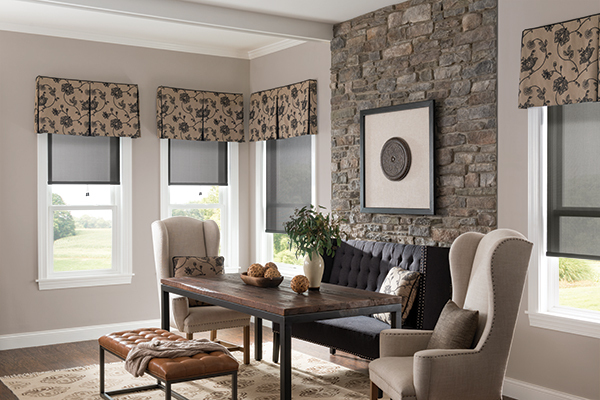 With a wide array of colors, styles and fabrics to select from, you can coordinate with any furnishings in the room. 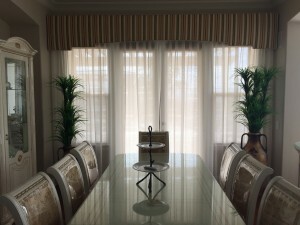 We provide several top treatments such as cornices, swags, cascades or valances for beautifying the drapes. 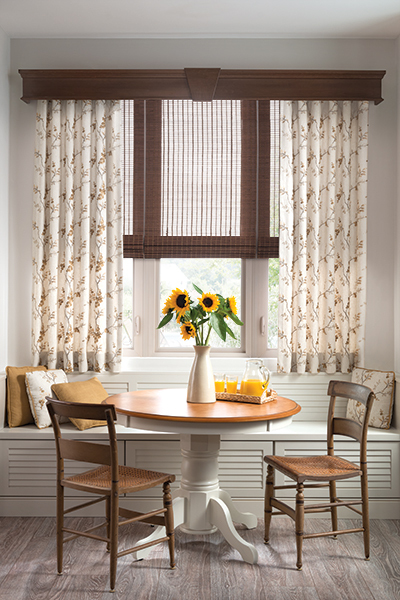 Also provided are various pleat styles in order to best suit your preferred design style. 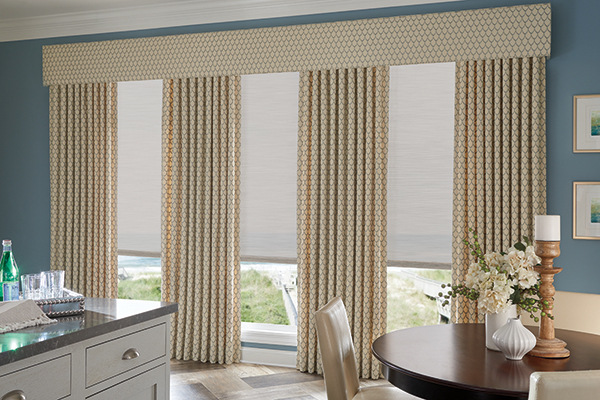 Finally we do custom fitting to ensure the elegance of the room is enhanced as much as possible.